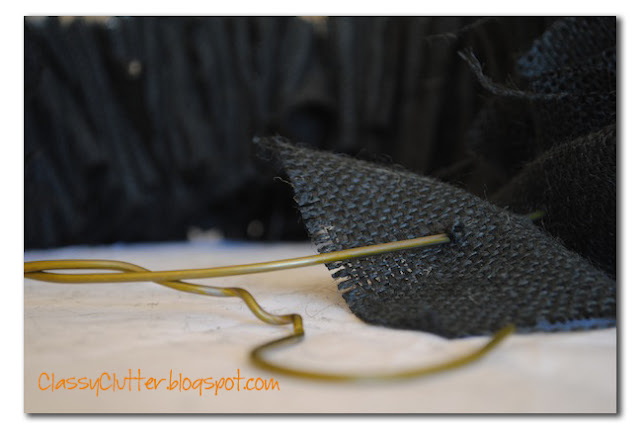 Today I’m going to re-share a tutorial I posted a few years ago for my Burlap Halloween wreath. I used my own tutorial and created a Fall version. I thought I’d include the tutorial for those that may have missed it! 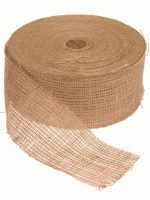 Burlap is SUPER cheap! I got 1 yard of burlap at Joann’s for around $2 using a coupon. 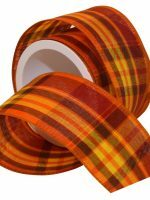 I also got the Fall ribbon from Joann’s. The “N” and other fall embellishments I had on hand. 1. I unwound the hook of a wire hanger so it was one long wire. 3. Cut my burlap into 3″ strips. I used exactly 1 yard of burlap. You could use up to two yards for a more tightly folded look. 4. I folded the strips back and forth as I threaded it through the wire. Super easy. 7. Made a quick bow and used wire to secure it in place. 8. 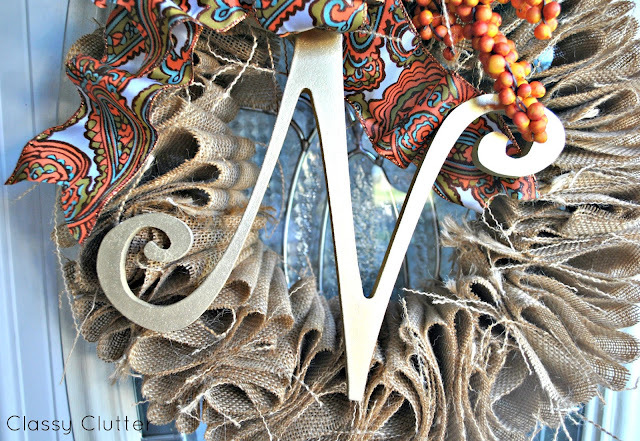 Finally, I added the gold (spray painted) “N” and a few Fall embellishments to dress it up a bit. 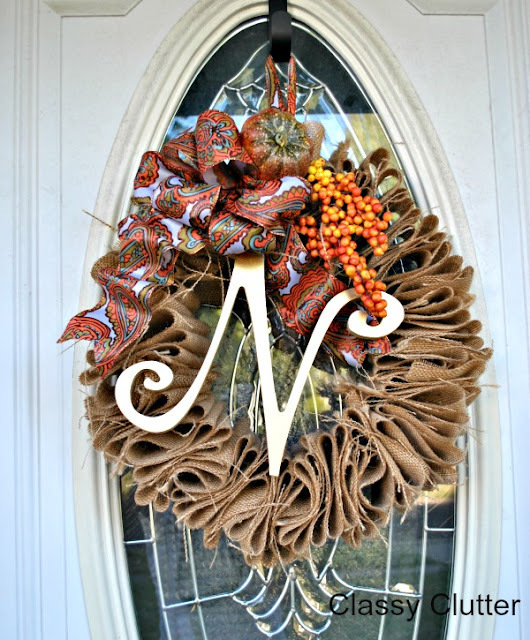 The “N” and the Fall foliage were originally from Hobby Lobby but I had them on hand. 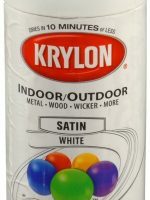 Start to finish you’re looking at about a 30-45 minute project for under $5! Can’t beat that! No excuses for a wreath-less door this season! This wreath is so beautiful! 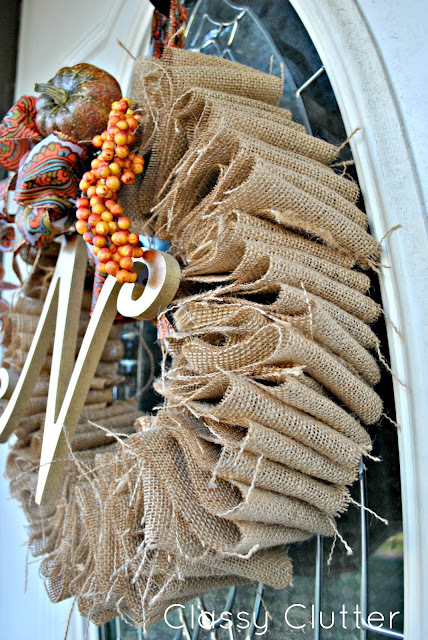 There is something so amazing about burlap, I swear! Thanks for the tutorial! That is gorgeous! I really love that ribbon you chose to put with it. 🙂 Found your wreath at the Link Party Palooza. What a great idea, I don’t think I’ve seen that hanger trick before! Thanks for sharing! The burlap is amazing! So beautiful in every way!!! 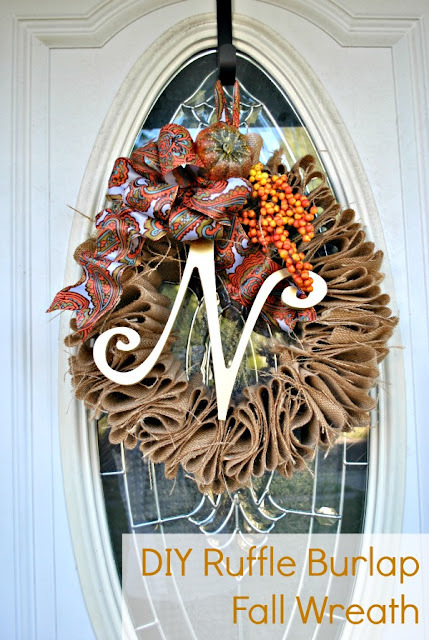 Come link up to the Fall Wreath challenge at The CSI Project. It is going on right now. Come on over!